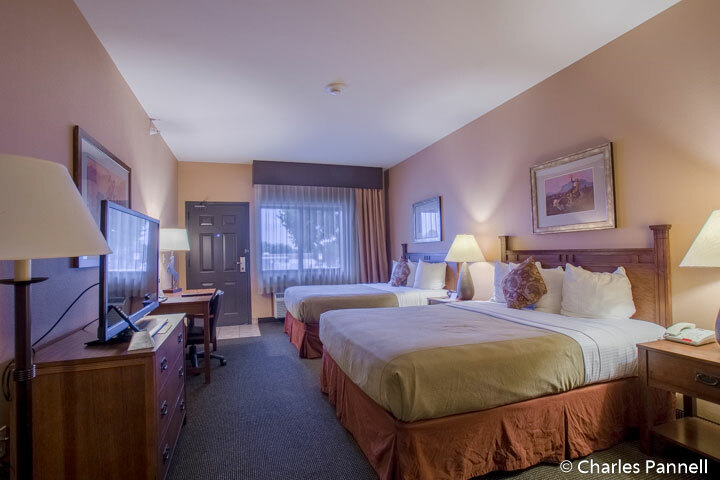 The Best Western Plus Country Inn and Suites (www.bestwestern.com) is a very accessible place to hang your hat – and your cowboy boots – while you’re visiting Dodge City. Located just a mile from the historic district, this comfortable property offers excellent access and a very attentive staff. There’s level access to the front lobby, with plenty of room to maneuver a wheelchair inside. Room 104 is located on the ground floor, near the lobby, with accessible parking located right outside the room. The room also features access through a second entrance from an interior corridor. Access features in the room include wide doorways, and excellent pathway access. The room is furnished with a 25-inch high queen-sized bed with wheelchair access on both sides, a desk, a chair with an ottoman, and a chest of drawers. It also includes a refrigerator and a microwave, so it’s easy to fix a simple meal or a snack in the room. 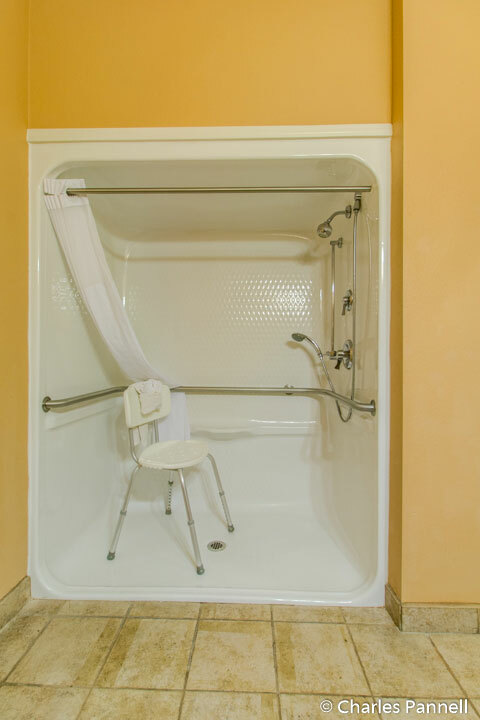 The bathroom includes a full five-foot turning radius and is equipped with a roll-in shower with grab bars and a hand-held showerhead. A portable shower chair is also provided. 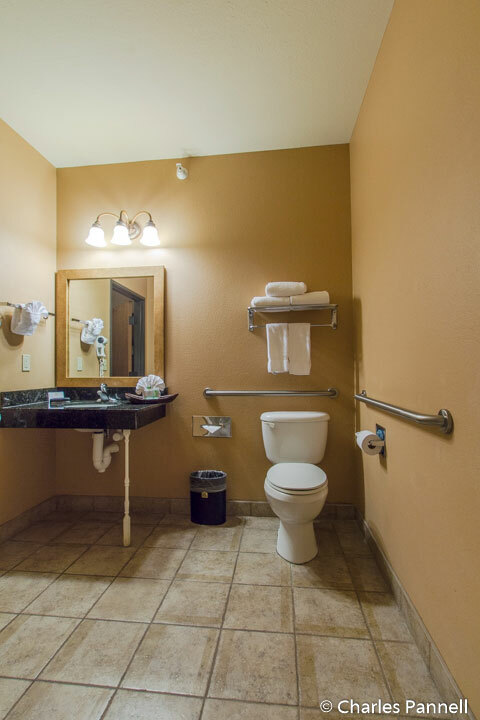 Other access features include a roll-under sink and toilet grab bars on the back and left walls (as seated). There’s also barrier-free access to the public areas of the property, including the breakfast area, where a full hot breakfast is served each morning. It’s the perfect way to start the day. All in all, this property gets a thumbs-up for wheelchair-access, location and service. And you just can’t get much better than that!